Nearly all relationships have ups and downs. 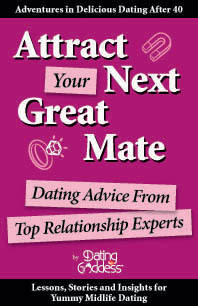 Part of getting to know a man is seeing how he works through relationship misunderstandings. What should you look for when you have a disagreement? How can you notice how self-absorbed he is vs. flexible, loving and unselfish? What can you even learn from a fight? 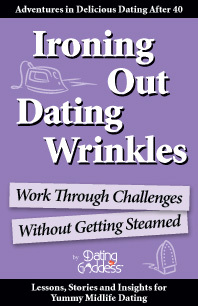 Ironing Out Dating Wrinkles: Work Through Challenges Without Getting Steamed focuses on how to work through the inevitable hiccups that happen when you are getting to know each other. If you can both deal with challenges, the bond deepens and you find yourself smitten. Where’s the line between getting your needs met and being selfish? Is his toothbrush in your cabinet too soon? Do you love how he loves you? Is he collecting data on how to make you happy?